Don't cut your celebration short because of amplified music curfews. Continue celebrating late into the night without disturbing anyone nearby. Provide guests with a choice. Not everyone has the same taste in music; some like Top 40, some enjoy electronic music. Some like it loud, others may have sensitive hearing. With our 2 or 3-channel silent disco headphone models, your guests are enabled to switch between music channels with a flick of the switch. And with a personal volume dial on each headphone, your grandparents can enjoy a mellow dance to Django Reinhardt while your friends break it down to their favorite party jam on the other channel -- all while staying together on the same dance floor. Encourage conversation and connection. No one enjoys yelling over loud speakers. Guests can remove their headphones and enjoy catching up with family and friends without losing their voices or hearing. And there's no better conversation piece than a full dance floor of people dancing and singing to what appears to be silence! "It was amazing. Our DJ said it was the best wedding he had ever done. People are still talking about silent disco. None of them have ever done it before then. It really made the wedding memorable." "It was BEYOND FABULOUS!!! Everyone LOVED the silent disco! Seriously, everyone had a set of headphones on and was rocking out 🙂 Thank you sooo much for all of your assistance. You made our day extra special and unique." 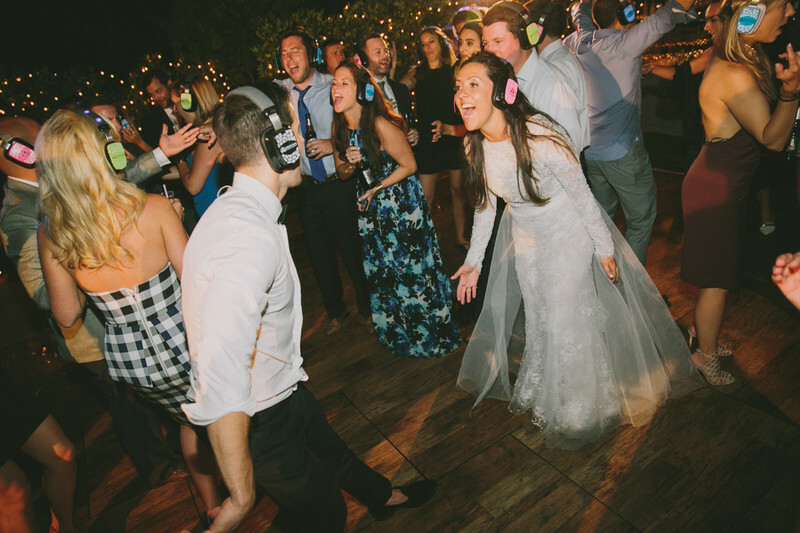 "I wanted to thank you again - our guests can't stop talking about our "Southern Silent Disco." The phrase has replaced the words, 'Matt and Kiki's wedding!'" 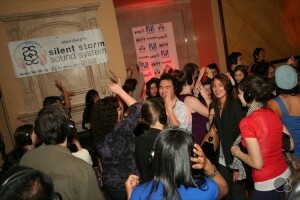 "The silent disco portion of the night was truly amazing. ...I can safely say that your silent disco literally saved the party. 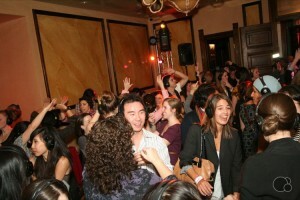 I can't thank you enough, it was a huge hit and our party was redeemed because of it. Thanks for everything!" "The wedding was a BLAST! The speakers actually broke down at 10pm and the headphones saved the end of the party! "WHAT an evening - unreal! Thank you for that upgrade - I LOVED the new headphones... Thank you again for your flexibility and can't wait to find another excuse to rent the headphones!" 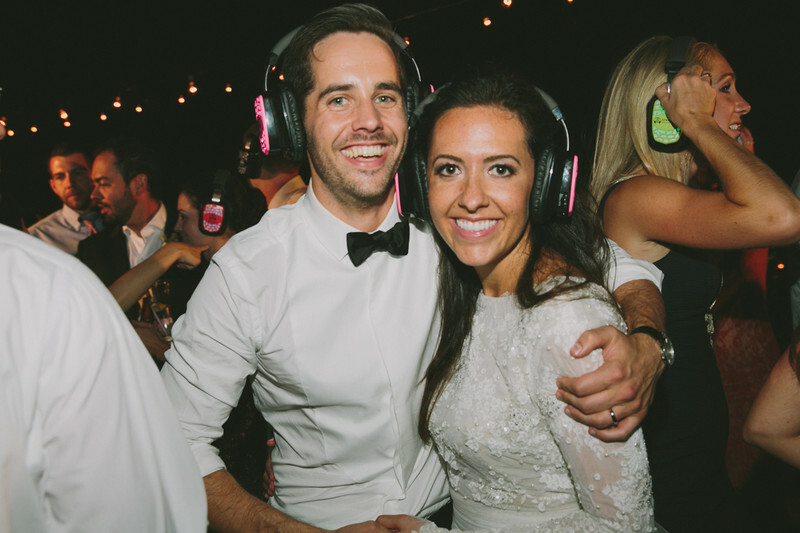 "The silent disco was the best part of our wedding!" "You were the hit of the night! Can't wait to use you again!" 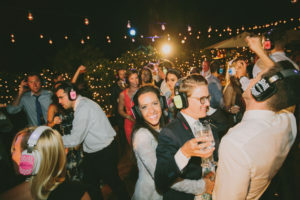 "If you want a unique element to your wedding or special event, I recommend a silent disco by Silent Storm. They were really flexible with our details and provided alternatives for set up, delivery and pricing options. We didn't experience any issues with the headsets and once the guests got a hang of using the headsets, the party went off! It's really a fun experience and George was easy to work with!" 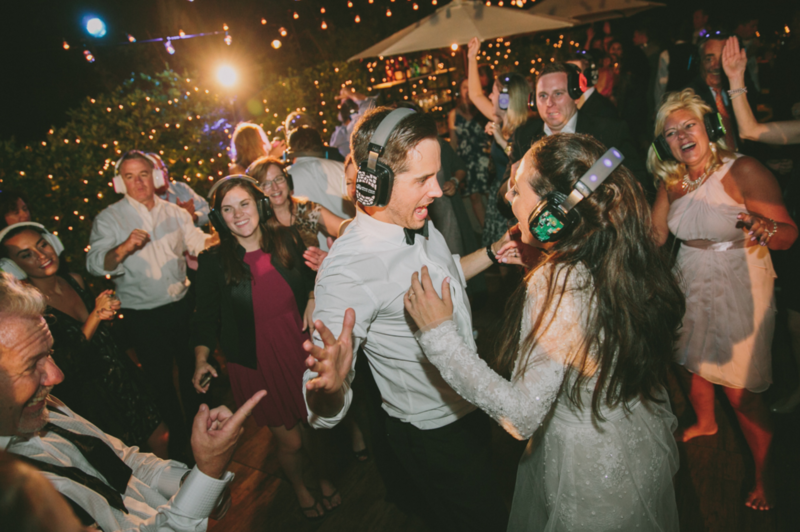 Here's a clip from a silent disco wedding in Big Sur. 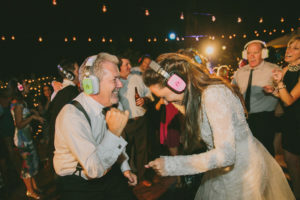 From roof decks and beaches to country clubs and vineyards, our silent disco wedding solution is the perfect way to add an unforgettable element to your most memorable night. Interested in learning more about how to add a silent disco element to your wedding? Fill out our Quote Request Form today (it only takes a minute) and we'll get in touch with you! 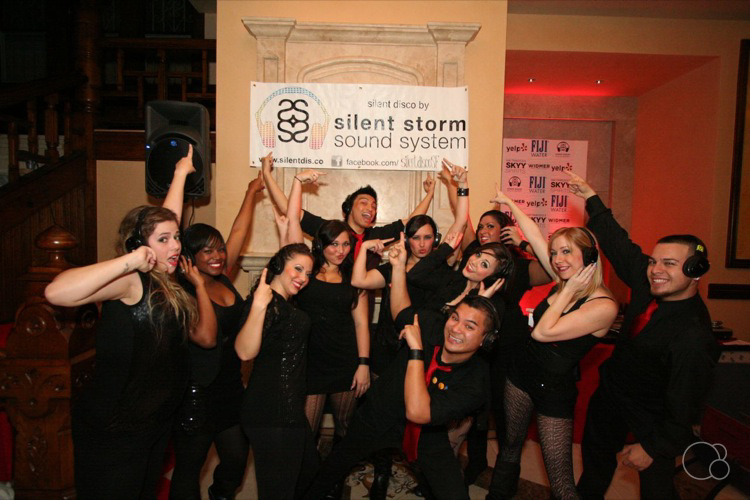 Learn about 'silencing' your next event!